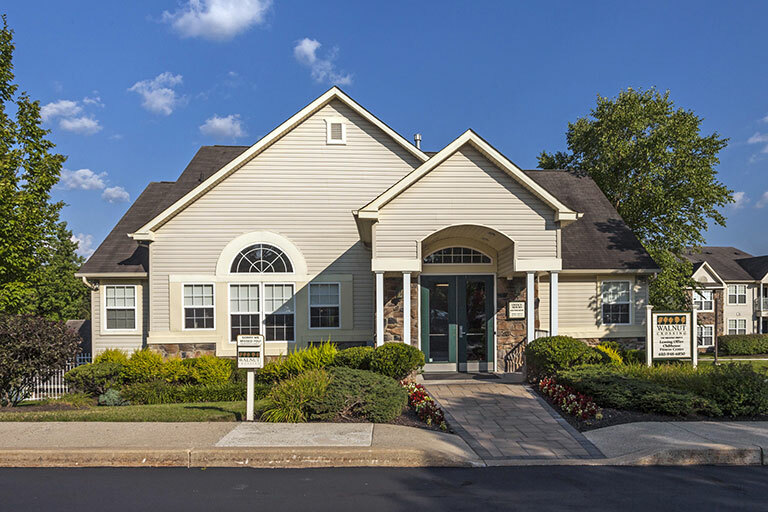 Situated on 43 beautifully landscaped acres just northwest of Collegeville, Walnut Crossing offers townhomes and apartments in Royersford, PA that are central to the area’s major corporate and pharmaceutical centers. 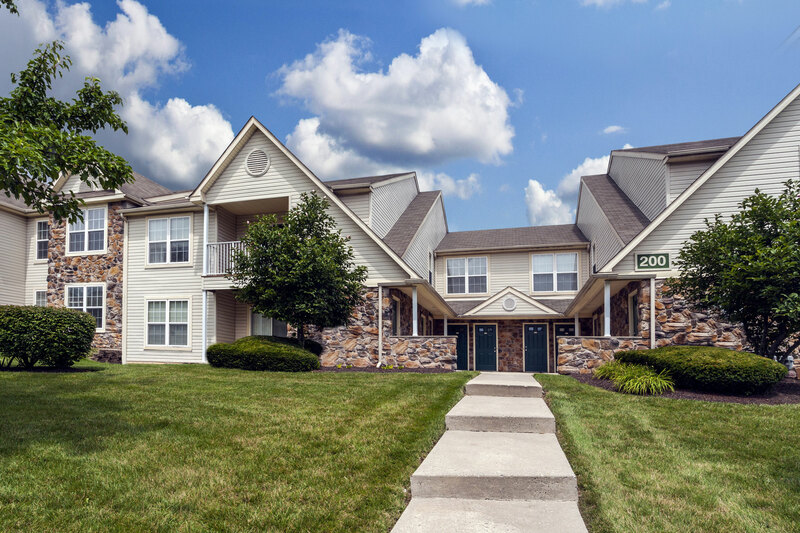 Located just minutes from the Pennsylvania Turnpike, Schuylkill Expressway, and route 422, this unique Royersford rental community offers beautifully designed floor plans and easy access to the many attractions the area has to offer. Walnut Crossing is near a variety of shopping malls and business centers in King of Prussia, corporate centers in Wayne, the Valley Forge Casino and Conference Center, and the recreational facilities of historic Valley Forge National Park and the Schuylkill Valley Park. Walnut Crossing is owned and managed by The Klein Company, whose reputation for excellence in apartment management has been earned by combining skilled management teams with a company-wide emphasis on customer service. As a Klein community, Walnut Crossing assures its residents the highest standards of quality and responsive, caring property management. Looking for Royersford, PA apartments for rent? Schedule your tour of Walnut Crossing apartments and townhomes today. Discover our Royersford, PA apartments one-, two-, and three-bedroom floorplans and decide which layout best fits your needs. Our spacious Walnut Crossing townhomes include private covered patios or balconies, cozy wall-to-wall carpeting, and expansive windows for lots of natural lighting. Our living rooms feature a beautiful inviting gas fireplace that you’ll want to spend all winter snuggled near. Our gourmet kitchens include Whirlpool energy efficient appliances, and some unites even include a large breakfast bar and eat-in space. Other optional features include beautiful cathedral ceilings to really open up the space so you’ll never feel cramped and will enjoy your living space. Our well-lit townhome apartment community in Royersford is beautifully landscaped in a lovely country setting with ample parking for our residents. Walnut Crossing also has a new clubhouse with complimentary Wi-Fi, coffee bar and lounge in addition to a well-equipped fitness center. You’ll love relaxing by our resort-style swimming pool or hitting up the tennis courts with friends. 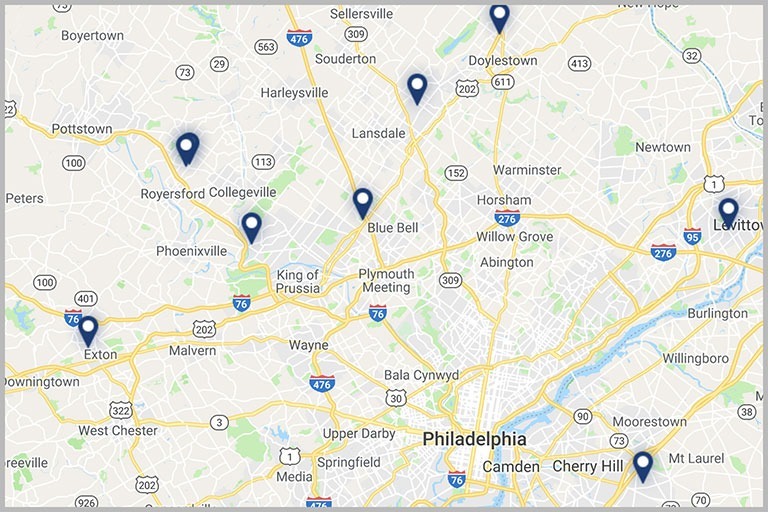 Our great location also making us convenient to major highways and an easy commute to major employees looking for corporate housing near Royersford. We are also nearby wonderful shopping and dining at the Philadelphia Premium Outlets. 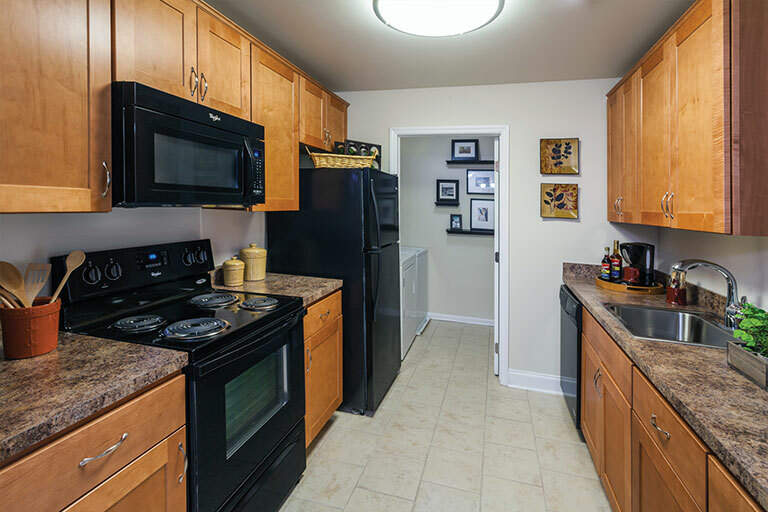 You’ll love the convenience of living at Walnut Crossing. Call us today and schedule a tour and see for yourself! Look no further than Walnut Crossing for beautiful Royersford apartments with luxury amenities in a lovely country setting. Our townhomes include a full-size washer and dryer in-home expansive kitchens with energy efficient Whirlpool appliances, ample closet storage space, individually controlled heating and air conditioning, and individual private entryways. Our fireplaces are a wonderful feature of our living rooms perfect for decorating and making the space your own. Our community features luxury amenities as well from a recreational area with a shimmering resort-style swimming pool, tennis courts and playground to enjoy during the warmer months. We also have an awesome clubhouse to kick back in front of our beautiful gas fireplace and enjoy our complimentary coffee bar and free Wi-fi. You’ll love living at Walnut Crossing and will feel right at home in no time, and bring your feline friends along, we are cat-friendly!